Is an exclusive, luxury, two storey penthouse on the 12th floor of the prestigious Goldsun IV Apartments. 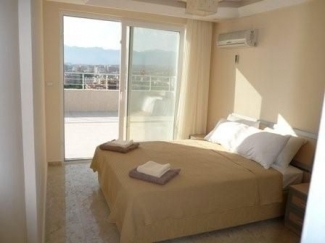 It is bright and contemporary with spectacular sea and mountain views, just 300 metres from the beach and overlooking the town of Mahmutlar, on the outskirts of Alanya. With its two shaded balconies, large private sun terrace and communal pool, it is ideal for family and friends to enjoy a relaxing and/or active break. The penthouse offers a triple aspect outlook with stunning views of the sea at the front, overlooking the town from the side and mountain views at the rear. 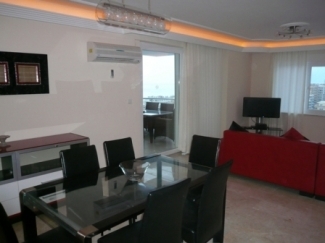 The property is furnished to the highest standard with modern leather corner suite and dining chairs. The kitchen is comprehensively equipped with everything you need to enjoy your stay. Comfortably sleeping eight, the two double bedrooms and two twin rooms all have comfy beds and plenty of wardrobe space. There are two bathrooms and a separate w.c. along with a private sauna. Full air conditioning keeps it cool during the summer and there is central heating for the winter months. The property is situated on two storeys with the living area, two bedrooms, a bathroom with walk-in shower and a separate toilet on the first level. Stairs lead to the second level where you will find another two bedrooms, a bathroom complete with a large jaccuzi bath and overhead shower and the sauna room. The open plan living area is large, bright and spacious. 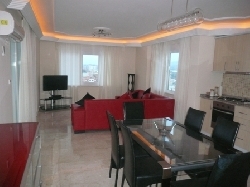 This is furnished to a very high standard with leather corner suite, and dining table and chairs. There is a large flat screen TV, with English channels via satellite, and a DVD player. Two large windows offer fantastic views and a patio door opens onto the covered balcony which accommodates a large table and chairs. The kitchen area is fully equipped for all your culinary needs, whether you are looking to prepare simple meals or something more exotic. All the equipment is of a very high standard including a full oven and hob, kettle, toaster, dishwasher, microwave, washing machine and fridge/freezer. A dining table, seating six people provides ample space for the cooler days, when you might want to enjoy a meal inside, maybe Christmas dinner. The penthouse comes comprehensively equipped with fresh linen and towels, (not beach towels) crockery, cutlery and glassware. All four bedrooms have comfortable beds and are tastefully furnished with the main bedroom having en-suite facilities. Wardrobes and bedside cabinets provide ample storage for all your holiday needs. All bedrooms have air conditioning and central heating. Three of the four bedrooms have patio doors leading outside. Hairdryers are provided in both bathrooms. There is also a private sauna in the property along with a separate WC and basin. The large top sun terrace, with spectacular views of the sea, the town and the mountains, is fully equipped with dining furniture and eight sun-loungers. 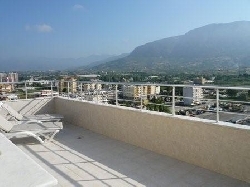 The two balconies and sun terrace provide ample space to sit in or out of the sun at any time of the day. The two dining areas offer a fantastic opportunity to enjoy 'alfresco' dining most of the year. As our guest you will also have full access to the large communal pool, pool bar and BBQ area, along with the fully equipped gymnasium and table tennis in the relaxing room, which can be found on the ground floor. 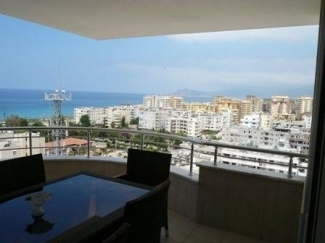 The penthouse is located in the centre of Mahmutlar, approximately 300 metres from the beach. 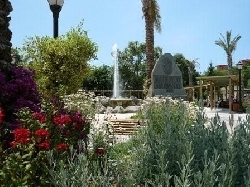 Mahmutlar is situated about 10 km east from Alanya centre and is a rapidly growing town. The long beautiful beach with a backdrop of the Taurus mountains and the growth of some lovely developments in both apartments & villa complexes are among the main reasons for this. 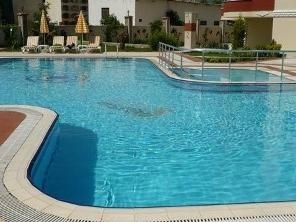 Considerable investment from the local council into Mahmutlar in the past couple of years is very significant. 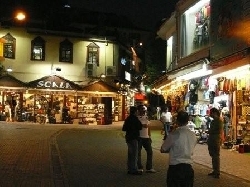 The infrastructure of the town has increased, with a large variety of shops, bars and excellent restaurants available, some offering live music and entertainment during the summer months. Attractive well lit boulevards, paved areas, landscaped gardens & children�s parks contribute to the overall character & quality of the area. The Penthouse is located on Barbaros Road or �Barbaros Caddesi�, where you will find an assortment of bars and restaurants within easy walking distance. On Saturdays and Tuesdays there are bazaars � open markets � where you can purchase clothes, bags, shoes and traditional Turkish wares along with a fantastic selection of fruit and vegetables. Local buses, which are inexpensive and easy to use, and taxis can also be found in the centre of Mahmutlar, providing easy access into the centre of Alanya, only 10 minutes drive away and a must during your visit. Known as the �Pearl of the Turkish Rivera" Alanya is world famous for it's kilometres of clean, sandy beaches, crystal-clear water and the mild Mediterranean climate. 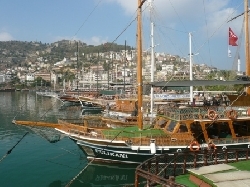 The beautiful harbour, where you can book a fishing or sightseeing trip, the colourful bazaar and the vibrant night-life, make Alanya popular with locals and Europeans alike. The famous fortress stands high on the hill and is a large attraction for the Town. 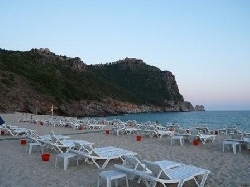 Other attractions in and around Alanya include the remains of the ancient Roman and Byzantine cities of Leartes and Syedra, the Red Tower, the Damlatas Caves and the Dimcay River. Many other trips can be booked on arrival such as Effesis & Phumukkale and numerous water sports.